What News from The Book of Mormon? npr is offering a free preview of the cast album. The CD will be released on 07 June. If you can't wait until then, click here to listen. The Tony-nominated musical will present a free performance on July 1 at 2 PM. The offer is extended to the hundreds of ticket lottery hopefuls. Winners will be selected around the 13th of June. The lucky fans will receive emails two weeks before the show, where they will be asked to confirm their attendance. They will also receive instructions for check-in. 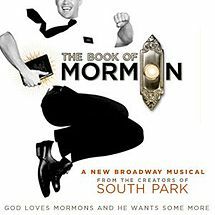 For more information, head on over to the Eugene O'Neill Theatre or The Book of Mormon website.